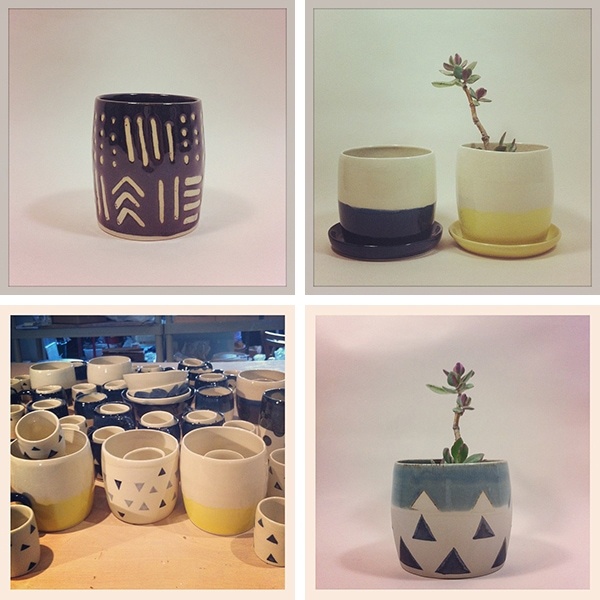 When I was in San Francisco, I visited the new Little Paper Planes storefront, run by my friend Kelly Lynn Jones. Kelly has such a good eye for art and design, and I’ve been a fan of her online shop for ages — it was so cool to see it all come to life in one beautifully curated space. I must have touched/admired at least two dozen objects while I was in there, but the ones I was drawn to immediately were the pieces by Brooklyn-based Small Spells, created by ceramist Rachel Howe. 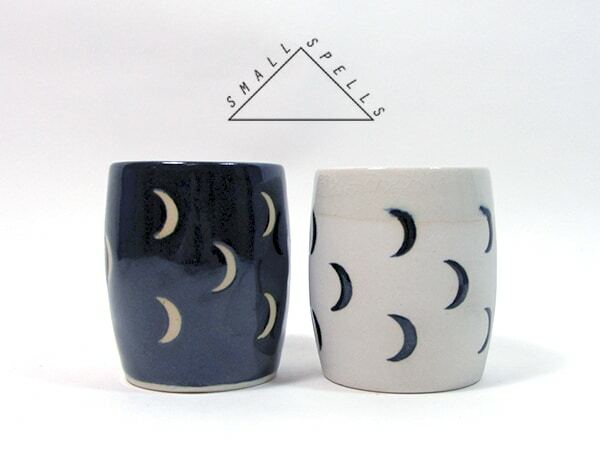 I picked up a crescent moon cup as a thank you gift for a friend, and made a mental note to check out Small Spells online later in the day. 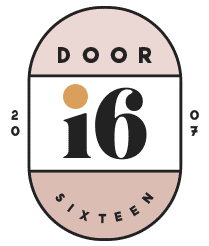 I’m so glad I did, because Rachel’s work is really up my alley — that perfect combination of bold geometry and soft, organic shapes and muted (yet rich) colors. I want everything in her shop! These planters are so sweet. I’m a notoriously black-thumbed when it comes to indoor plants, but lately I’ve been trying to practice by caring for a few smaller plants at once instead of one giant, potted creature that’s basically like having a pet. 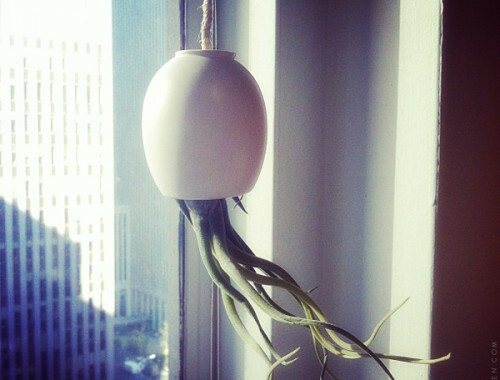 These little pots are perfect for putting on a windowsill or a small ledge in the kitchen, and I’m going to need to get a hanging planter for our bathroom. I love that wee cactus peeking out of the top! 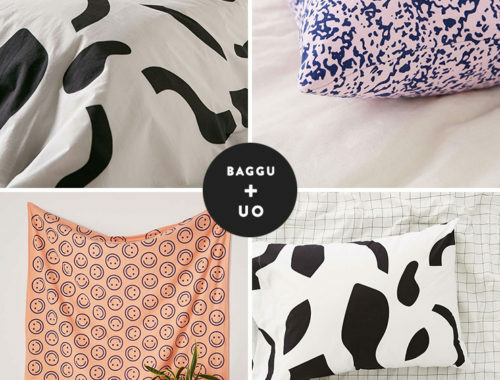 Bedding: BAGGU & Urban Outfitters. 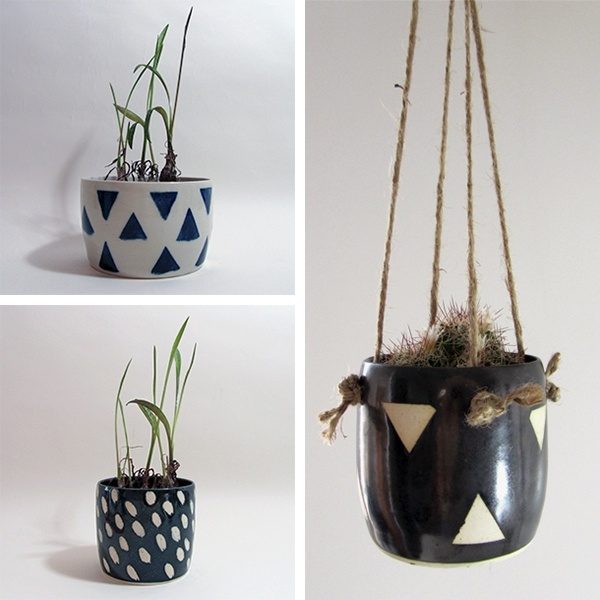 Ooh, I’ve really been into little handmade ceramics like these lately and I’m especially into Mudcloth so these are fantastic! Thanks for sharing–will have to check out her shop! I thought you might dig ’em! Oh, wow! I want EVERYTHING. Wow, I really love her work. I agree with Jade, I want EVERYTHING! Thanks for sharing, Anna. Glad you had fun in SF. These are beautiful! I love the color schemes and patterns. They look professional but still have a handmade feel. I’ll have to bookmark her shop. Thanks for sharing! one of each design please. these are all beautiful! I’m with you on the black thumb problem. 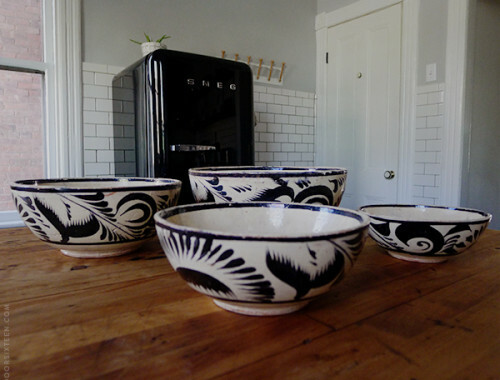 I once killed an aloe plant after being told they were idiot proof… But these gorgeous planters could probably make even my dead plants look pretty! I have killed EVERY aloe plant I’ve had, Kim!! Succulents and I do not get along, no matter how hard I try.